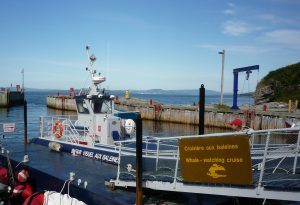 Our Port of Call is Grande-Grave Wharf, in the South Area of Forillon National Park (2448 A, Grande-Greve boulevard, G4X 6L7). Our cruises depart from Grande-Grave, approximately 7 km from the South Area park entrance gate. If you are arriving from Gaspé, follow the 132 west to the village of Cap-aux-Os. The South Area entrance is at the end of the village. If you are arriving from Cap-des-Rosiers (North Area), take the 132 east to Cap-aux-Os and check for the South Area turnoff at the entrance of the village. 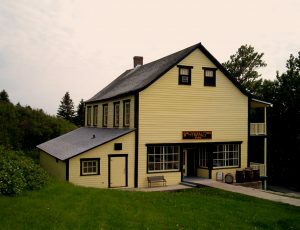 Keep driving until you arrive in Grande-Grave and you see the Hyman Store (an historic general store). Turn right to reach the Grande-Grave harbour.